"We all enjoy high definition television. Now how about high definition clobber? Skilfully crafted from alternating light and dark threads, the end-on-end weave adds sharpness and definition to a pattern and makes these ties all the more magnificent." 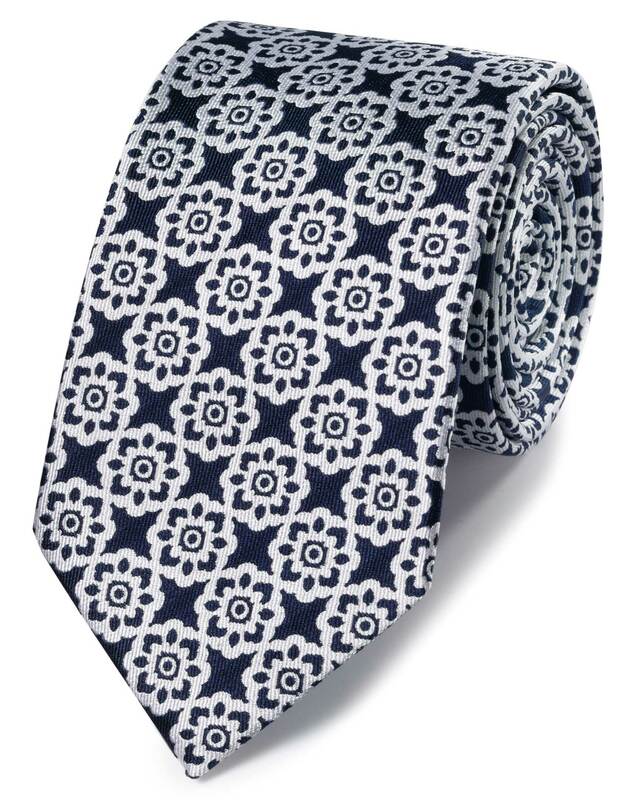 "The weave of this 100% silk tie has been chosen specifically to enhance the pattern’s colours and sharpness."